For use with all Bb, Eb, C, and bass clef instruments, the JAZZ PLAY ALONG SERIES is the ultimate learning tool for all jazz musicians. With musician-friendly lead sheets, melody cues, and other split-track choices on the included CD, this first-of-its-kind package makes learning to play jazz easier than ever before. FOR STUDY, each tune includes a split track with: • Melody cue with proper style and inflection • Professional rhythm tracks • Choruses for soloing • Removable bass part • Removable piano part. FOR PERFORMANCE, each tune also has: • An additional full stereo accompaniment track (no melody) • Additional choruses for soloing. 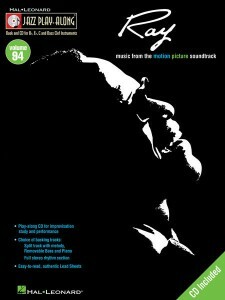 This entry was posted in Jazz Play Along and tagged jazz play along, jazz print music, Ray Charles on March 4, 2010 by allan. 84 of the best standards ever. This entry was posted in Jazz, Piano-Easy Piano, PVG-Piano Vocal Guitar and tagged Budget Books, jazz print music, Piano-Easy Piano, PVG-Piano Vocal Guitar on March 1, 2010 by allan. A jam-packed value-priced collection of over 80 jazz classics. This entry was posted in Jazz, PVG-Piano Vocal Guitar and tagged Budget Books, jazz print music, PVG-Piano Vocal Guitar on March 1, 2010 by allan. 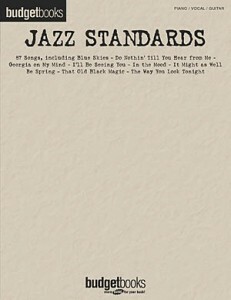 99 jazz classics no music library should be without! Includes: All the Things You Are • Autumn in New York • Bewitched • Blue Skies • Bluesette • Body and Soul • Darn That Dream • Don’t Get Around Much Anymore • Easy to Love (You’d Be So Easy to Love) • I Can’t Get Started with You • I’ve Got You Under My Skin • It’s Only a Paper Moon • The Lady Is a Tramp • Lollipops and Roses • Misty • Mona Lisa • Mood Indigo • My Funny Valentine • My Romance • Satin Doll • Stardust • Witchcraft • and more. This entry was posted in Jazz, PVG-Piano Vocal Guitar and tagged jazz print music, PVG-Piano Vocal Guitar on February 24, 2010 by allan. For use with all Bb, find Eb and C instruments, neuropathist the Jazz Play-Along Series is the ultimate learning tool for all jazz musicians. With musician-friendly lead sheets, melody cues and other split-track choices on the included CD, this first-of-its-kind package makes learning to play jazz easier than ever before. FOR STUDY, each tune includes a split track with: • Melody cue with proper style and inflection • Professional rhythm tracks • Choruses for soloing • Removable bass part • Removable piano part. FOR PERFORMANCE, each tune also has: • An additional full stereo accompaniment track (no melody) • Additional choruses for soloing. This entry was posted in Jazz Play Along and tagged jazz play along, jazz print music on February 23, 2010 by allan. For use with all Bb, neuropathist Eb and C instruments, thumb the JAZZ PLAY-ALONG SERIES is the ultimate learning tool for all jazz musicians. With musician-friendly lead sheets, melody cues and other split-track choices on the included CD, this first-of-its-kind package makes learning to play jazz easier than ever before! FOR PERFORMANCE, each tune also has: • An additional full stereo accompaniment track (no melody) • Additional choruses for soloing. INCLUDES: Alice in Wonderland • Beauty and the Beast • Cruella De Vil • Heigh-Ho • Some Day My Prince Will Come • When You Wish upon a Star • Whistle While You Work • Who’s Afraid of the Big Bad Wolf? • You’ve Got a Friend in Me • Zip-a-Dee-Doo-Dah. 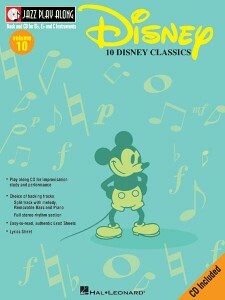 This entry was posted in Jazz Play Along and tagged disney, jazz play along, jazz print music on February 22, 2010 by allan. 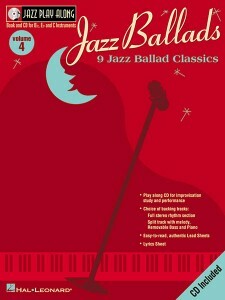 This entry was posted in Jazz Play Along and tagged jazz play along, jazz print music on February 22, 2010 by allan. distributed without any copyrights or royalties paid to the master composers who created these musical canons. Hal Leonard is very proud to present the first legitimate and legal editions of these books ever produced. You won’t even notice the difference…the covers look the same, the engravings look the same, the songlist is nearly identical, and the price remains fair even on a musician’s salary! But every conscientious musician will appreciate that these books are now produced legally and ethically, benefitting the songwriters that we owe for some of the greatest music ever written! 400 songs, including: Ain’t Misbehavin’ • All or Nothing at All • Along Came Betty • Cheek to Cheek • East of the Sun (And West of the Moon) • Funkallero • H & H • I’ve Got the World on a String • I’ve Got You Under My Skin • The Jive Samba • The Lady Is a Tramp • Milestones • Moonlight in Vermont • A Nightingale Sang in Berkeley Square • On a Clear Day (You Can See Forever) • Samba De Orfeu • Stormy Weather (Keeps Rainin’ All the Time) • Things Ain’t What They Used to Be • The Very Thought of You • Violets for Your Furs • Watermelon Man • and more. 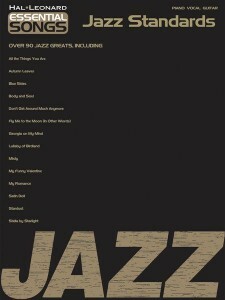 This entry was posted in Jazz and tagged jazz print music, real book on February 11, 2010 by allan. This is the only professional-level Latin fake book ever published! 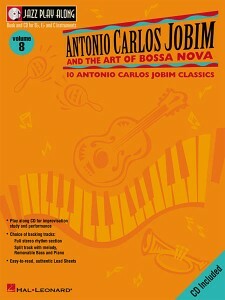 It features nearly 600 pages of the best in contemporary and classic salsa, ailment Latin jazz and Brazilian music, artificial with detailed arrangements, exactly as recorded, to help bands play in authentic Latin styles. Many tunes include bass lines for each section, piano montunos, and horn counter-lines. Includes a bilingual preface, song lyrics in Spanish, Portuguese and/or English, a drum and percussion appendix, and convenient spiral binding. Outstanding artists represented include: Ray Barretto, Eddie Palmieri, Ruben Blades, Puerto Rico All-Stars, Tito Puente, Irakere, Los Van Van, Ivan Lins, Tom Jobim, Joao Bosco, Milton Nascimento, Airto, Mario Bauza, Dizzy Gillespie, Daniel Ponce, Seis Del Solar, Chick Corea, Arsenio Rodriguez, Celia Cruz, Perez Prado, Orquesta Sensacion, and many more!
? Y Tu Que Has Hecho? 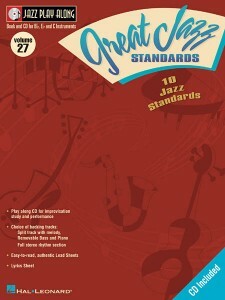 The Hal Leonard “Jazz Play Along” series is the ultimate learning foe all jazz musicians. 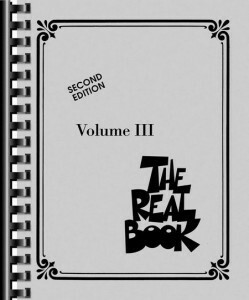 Each volume contains all the individual parts for Bb, arthritis Eb, C (treble), and C (bass). With musican-friendly lead sheets, melody cues and split track choices on the incuded CD, this first-of-it’s-kind package makes learning to play jazz easier than ever before. This entry was posted in Jazz Play Along and tagged jazz print music on February 11, 2010 by allan.